Breaks in the weather can create prime, winter bass fishing on ponds and small lakes, but how quickly can air temperature spike water temperature? And what’s the best lures for winter bass? If you Google, “What do bass eat in winter,” the first things that pop up are jigs. But never mind the fishing, what do they really eat? For some anglers, if they can understand what a fish eats, then selecting lures or flies that mimic these foods becomes more intuitive. When it comes to what bass eat in winter, the answer depends on how winter is defined. If it’s winter days cold enough to keep the water temperature below 41 degrees, then nothing is your answer. So it’s true that some regions of the country can check out right now and stop reading. But it’s also true that many areas where bass are plentiful are mild enough that, even in winter, water temperatures creep above that 41-degree threshold. Sometimes there are long stretches where the winter temperature is right for feeding. When the temps are ripe for eating, largemouth bass prefer fish, crayfish and frogs. Younger bass feed on crust crustaceans, insects, and small ﬁsh. In the South, you might rock along with temps that average highs in the 50s and lows in the 30s during the winter season. Yet, especially in the last two years, the Southeast in particular has experienced warm weather fronts that keep temperatures in the 60s and 70s for highs, while not dipping much below 50-degrees overnight for weeks at a time. These changes in the weather can mean pay dirt for anglers, especially those who fish small bodies of water. This fishing holes can range from a farm pond and smaller state park lakes to your golf club’s water hazards. When the temperature is right, the question becomes: What air temperature is required, and how many days of optimally mild weather does it take for water temperature to rise? If you ask around and read the forums and angler-related articles online, the answers vary. But warm temperatures for a few days in a row or less can change water temperature dramatically in small fishing holes. It’s also true that water temperature won’t vary greatly depending on what size pond you’re fishing. 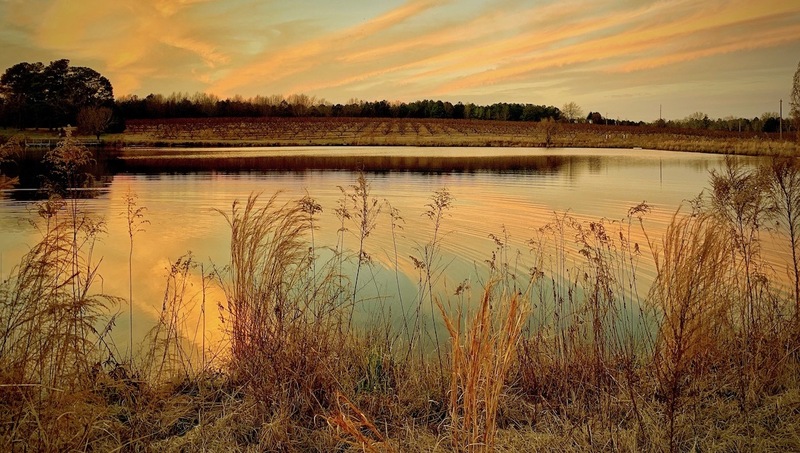 Typically, whether you’re on an 11-acre pond or 2-acre pond, most ponds are shallow and the water warms the same. What’s important is the speed by which these small bodies of water warm. It’s this advantage that motives some anglers to drive by a large lake in favor of a farm pond or golf-course water hazard. Ingram also has a two-degrees rule. If you're looking for certainties in numbers, some guys have been known to steal the in-ground pool thermometer and take it out to the fresh water they're looking to fish. But you can buy a thermometer made for this purpose like Fishpond's Swift Current thermometer, which retails for less than $20. The company markets the thermometer primarily to fly fishermen, but it works equally as well for temperature readings in ponds and small lakes. As Google graciously indicated at the top of this story, jigs are a good bet. Bass Pro Shops asked angler and outdoor writer Don Wirth to offer his recommendations for winter bass fishing, and several jigs made his list. First, the Jig and Pig. It’s a top choice for those looking to land a big bass. Like most all lures in winter, you’ll want to fish it slow. Typically a head jig with a trailing pork rind or plastic imitating a crawfish, is a good bet, especially when the water is muddy. 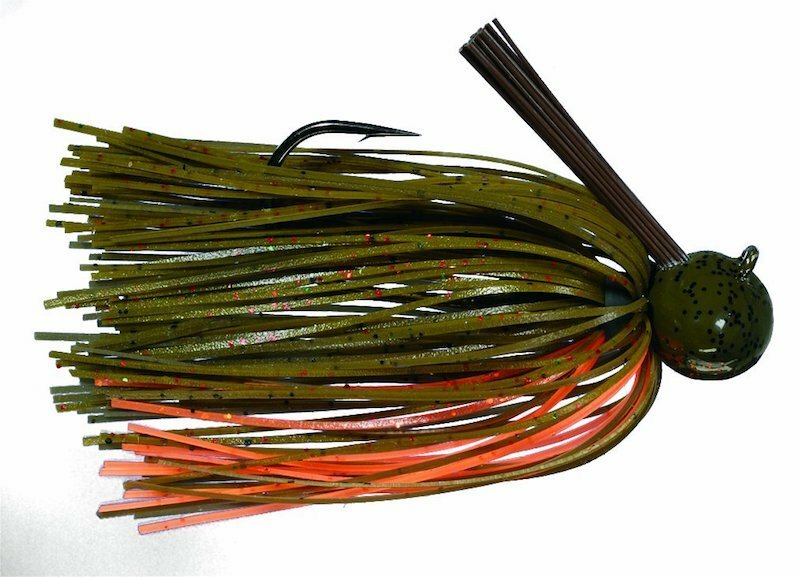 Hair Jig (or bucktail) is another jig that made Wirth’s list for winter bass fishing. These guys mimic a crawfish or minnow. Fish the bucktail deep, and use it as a go-to for fishing structures. Let it drop, then pop it and wait for bass to take it on the fall. When bass go deep in winter, heavy metal will out produce other lure styles ten-to-one. 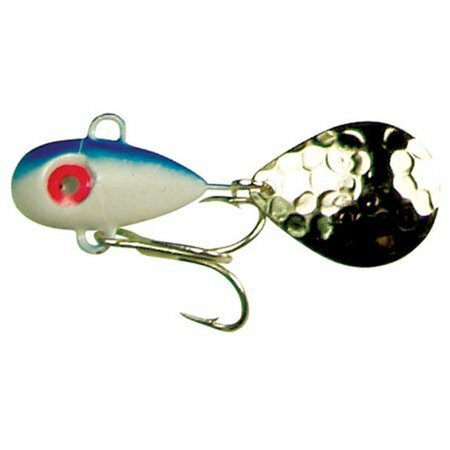 Consider using a blade bait like the Silver Buddy, Bullet or Sonar. These guys are weighted at the belly and head, and they’re compact enough to match the small baitfish bass feed on in 40-plus degree winter water. This is also the moment when it makes sense to give a little love to Little George. This tailspinner has been around for nearly 50 years, and it’s great for cold water. Remember bass don’t feed if they’re in water colder than 40 degrees. And when the temperatures warm, they’re still sluggish. As such, bass choose tiny food sources like blades and tailspinners. Then there's spoons, which also qualify as a small food choice for a bass experiencing the winter feeing doldrums. Jigging spoons like Mann-O-Lure or Crippled Herring work well for winter bass, especially if bass are really deep. A critical tip when working the spoon: don’t just jig it a few times, keep working the fish slowly.